If you were to enter into the Gr. 6 and 7 classroom at St. Jude School, you may notice students using free time to knit toques using looms. When I walked into the Grade 6 class, immediately a student pointed out how many toques they had made so far . The pride that was apparent in the student could not be ignored. 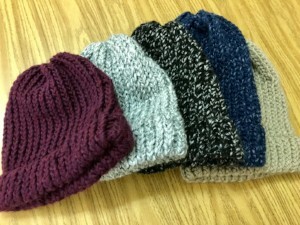 The creation of the toques fulfill the Applied Design, Skills, and Technology Curriculum with respect to textiles. But more than that, the toques are an example of faith in action. The students are learning about the Corporal Works of Mercy in class as part of their religious formation. Christ taught us to clothe the naked (Mt 25) and our students have embraced this notion by working to produce wool toques that will be donated alongside the coats that the Gr. 6 Class has been collecting. Thank you to all the families for their support of our Coat Drive. Covenant House would like to extend their gratitude as well. For our next Care Day, on Nov. 30th, we are bringing back the 8o’s. Let’s step back in time and bring back acid washed jeans, crimped hair, leg warmers, and neon colours. Take a look in your closet and see what you can find to create that funky 80’s look. Bring in a toonie and join in the wacky fun! 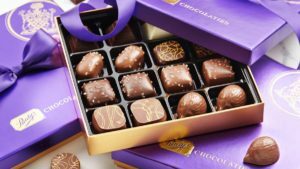 FINAL WEEK TO ORDER YOUR CHOCOLATES!!! The Gr. 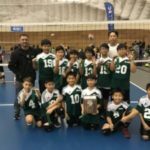 6 Boys Volleyball Team made it to the Final Four of the CISVA Volleyball Championships! The boys competed hard and represented our school well. We are very proud of their accomplishments. The team is comprised of Gr. 6 and Gr. 5 Boys, which bodes well for our future. Congratulations Boys! The Gr. 5 Boys played St. Joseph’s on November 22. 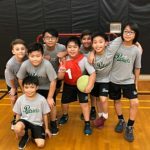 The team played as a unit and were successful in defeating the opponent. Goals came from Manav Chopra and Kyle Tan.